Identifying opportunities and ensuring that your team is willing and able to make the changes to deliver the benefits. "I have been hugely impressed because this is difficult to do – I am impressed with Mark and the team. Everything went so smoothly"
The Vet has, and continues to grow rapidly. 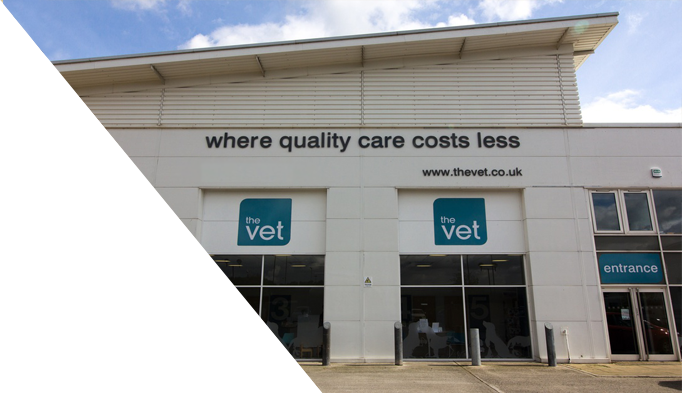 Their vision is to provide truly excellent veterinary services at the most competitive prices, and in a way which is most convenient for our customers. We know this will automatically maximise business performance and enhance brand-loyalty, helping us achieve even more growth. With an already very strong strategy for growth, and a keen eye for innovation, they were keen to examine current working practices and gather detailed data in order to help identify and prioritise improvement opportunities to increase capacity whilst keeping costs optimal. Velresco worked with The Vet to carefully scope an "operational study" project. We were engaged to carry out detailed studies, enabled by v-Flow software which halves the time traditional experts use to carry out these studies – and, hence, the cost! As described by The Vet: "They attended and carried out very detailed observations at two of our largest sites. We were particularly impressed with how much detail they managed to gather in a short time and also by how unobtrusively they engaged with the teams so that work delivery was not interrupted. They examined not just our core processes but the make-up of activities carried out by the various roles at each site, highlighting where there was potential for delegation and team development, to free up latent capacity for our vets to do more for our customers and grow the services". "Velresco have helped us find a ‘bed’ of opportunities and, although there were many, these were presented in a very clear and prioritised structure, helping us to rapidly assimilate things. We’ve found the information invaluable!". Having identified the benefit opportunities we also took the team at The Vet through a set of Change Management activities to help them mobilise and successfully deliver change. "After the simulation, I couldn’t help looking at ways I could improve work activities around the house!" "Our teams were genuinely impressed and enthused by this process, asking “when will we see the outputs?”… their reaction could not have been better!" Once all changes have been applied Velresco will return to review the new operating model and quantify the savings. We know from experience that when we carry out a vFlow analysis of a business we always find significant opportunity for improvment. But finding the opportunity is one thing, making the changes in the business to realise the benefit of the opportunity is something else. That is why we have developed tools and techniques to engage team members and demonstrate how change can be done successfully, to make sure that any investment made in us, is retured many times over after we have gone.